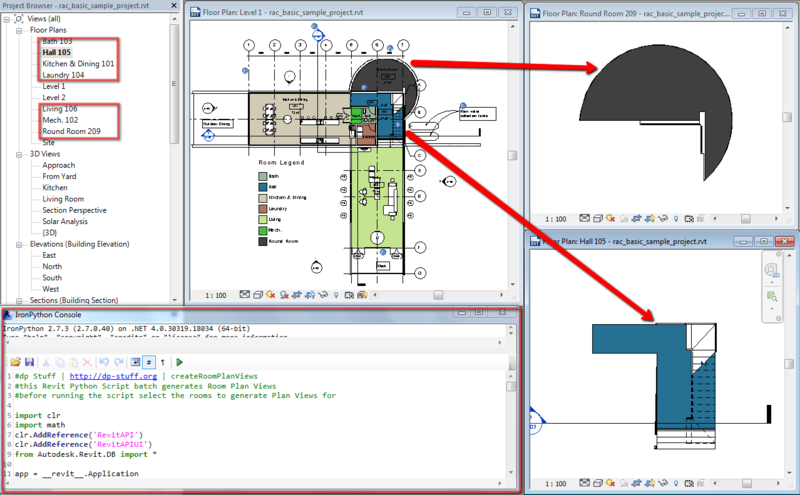 In the previous post I covered how you could quickly generate Room Plan Views, already cropped to the room size with a Python Shell script, but this post adds Non Rectangular Viewports from Revit 2014 to the equation. 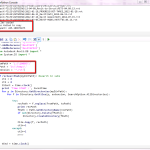 The script from the previous post can be used in either Revit 2013 or Revit 2014. 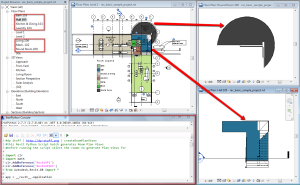 The issue is that in Revit 2013 view crop box can be just what the name suggests – a rectangular 2D box. Recently released Revit 2014 however allows us to edit the profile of the crop box with a sketch! Basically you can crop your view in the latest version to virtually any shape you want as long as you use straight segments (yes-no arcs). But even if you need to do an arc shaped crop you can still approximate it with short straight segments, right? 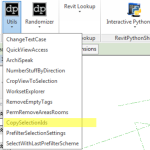 What is an even better news (for me) is that this functionality was immediately added to Revit 2014 API – you can programmatically access ViewCropRegionShapeManager object to which you can pass a new CurveLoop for a new Crop Box boundary. So, what does that mean for us? 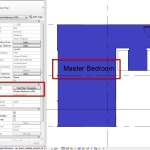 Going back to the previous post and Room Plan Views generation – now with Revit 2014 API we can actually create these plan views and make their crop boxes to match the rooms’ boundaries – non rectangular viewports! 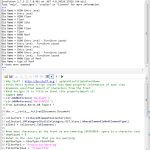 All that can be achieved with Python Scripting. 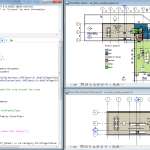 In the end of the post you will find a Python script that is similar to the one from the previous post, with the difference that it has a Revit 2014 API – specific stuff that extracts each room’s boundary loop, approximates arc segments (if any) with lines and assigns this room boundary geometry and passes to room’s View Crop Region via ViewCropRegionManager object. Can the script create dependent views? Well, not as it is but it is easy to make an adjustment to it so it can start producing dependent views. You would need to specify the parent view in the script though before running the script. I will write up a blog-post on that as soon as I can. This is really nice. Thanks for the great posts! I’m trying to adjust the expandVal, so that the crop is offset 500 mm, from the room, but it doesn’t seem to work. And also, how would you implement the addition of a viewtemplate to the view, in the script? 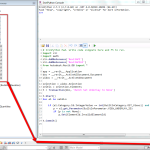 Sorry to mislead you – the expandVal variable (and all the portions of the code that use it) in this particular script doesn’t do anything – it got carried over from the previous script on rectangular viewports. So adjusting the value won’t make any difference. I will prepare a post on how to control the offset of the non-rectangular viewports as soon as I can get to it.